Reasons to Purchase Property at an Auction | Wilson Auction & Realty Co, Ltd.
Are you looking to score a great deal on a new property? You could spend days searching through your local real estate listings looking for a home with a low price that has somehow gone unnoticed by others. Alternatively, you could attend a real estate auction and try to outbid others on properties. Here are several reasons why it might make the most sense for you to consider buying property at an auction. You can get an excellent price on a real estate property. A real estate property is usually auctioned off either because it was foreclosed on or because the original property owner owed taxes on it and couldn’t afford to pay them. This allows for the property to be auctioned off at a much lower price than the property might actually be worth. In most cases, a bank or the government is simply trying to get back whatever it can by auctioning a property off, so you can get a steal when you buy it. Some of these properties are in bad condition due to neglect so you will need to be careful when making a purchase. But if you do your research, you can find properties listed well below market value that don’t need a ton of work done to them. You can avoid all of the competition that exists on the open market. When a house is put up for sale under normal conditions, everyone on the open market gets the chance to walk through it and then make an offer based on the listing price. During an auction, the pool of people who can purchase a home is reduced drastically. Often times, there will only be one or two dozen people at a real estate auction, which will give you the chance to compete with a much smaller pool of potential buyers. You can take ownership of a property right away. 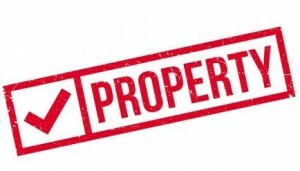 When you win a real estate auction, you are usually required to pay the full amount of your winning bid that same day. At that point, you take ownership of the property you won at auction, and you can do whatever you want with it. You won’t have to go through the usual property buying process when you attend a real estate auction. Wilson Auction would love to be your one-stop-shop for your real estate auction services. Whether you want to auction off a property or potentially buy one, we can assist you. Call us at 866-870-5500 today to learn more about what we can offer to our clients.